Meet Automower® 430X, a robotic mower that will give you the perfect lawn and more free time. If you own a medium or large-sized yard up to 0.79 acres, Automower® 430X is the model of choice. 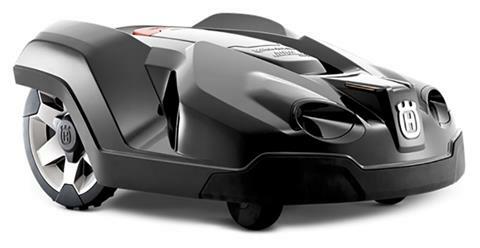 Featuring smart technology and an intuitive interface, Automower® is the world’s most capable robotic mower. Obstacles and tight spaces are no sweat. In fact, thanks to its weather resistance, Automower® works in the rain, too. Plus, as a premium Automower® model in the X-line series, 430X features the special X-line design, including LED headlights, rubber front bumper and specially painted wheel caps. GPS-ASSISTED NAVIGATION - PATENTED: An onboard GPS system creates a map of the garden, including where the boundary and guide wires are installed. Husqvarna Automower will then register which parts of the garden it has covered and adjusts its mowing pattern accordingly. This will ensure optimized lawn coverage and an excellent cutting result. AUTOMATIC PASSAGE HANDLING - PATENTED: Husqvarna Automower automatically senses narrow passages and finds its way even through the smallest passages. It will vary its route through the passage to avoid unpleasant tracks. AUTOMOWER CONNECT: Automower Connect gives you full control of the mower right in your smartphone. You can easily send start, stop and park commands, check and adjust settings. 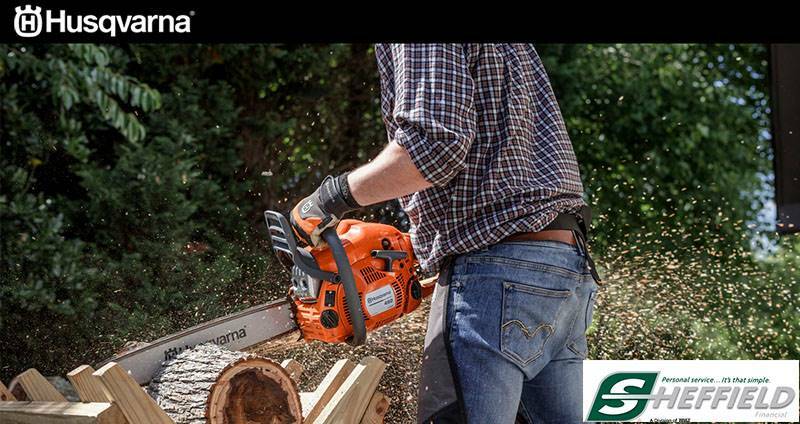 If required also receive alarms and track your mower’s position in case of theft – wherever you are.<br/>10 years mobile data contract included. Standard on X-line, optional for all 300-400 series. EXCELLENT CUTTING RESULT: Thanks to the free movement pattern of Husqvarna Automower the lawn is perfectly cut, achieving a beautiful and carpet-like look. The razor-sharp blades cut the grass gently from all directions, helping it to grow strong. Moss growth is effectively prevented. SILENT: Thanks to its unique cutting system, Automower works extremely discreet and quiet and just when you want. UNIQUE CUTTING SYSTEM: Husqvarna Automower cuts just a little but frequently, which assures a nice and healthy lawn. It is equipped with sharp razor-like blades made of strong carbon steel mounted on a robust cutting disc system. This provides for efficient operation and extremely low energy consumption. LOW ENERGY CONSUMPTION: Efficient energy management means low energy consumption, allowing Automower to operate at a fraction of the cost of conventional lawnmowers. LIFT & TILT SENSORS: If Automower is lifted off the ground or tips over, the cutting automatically shuts off. In addition, the blades are rotating far from the outer edge of the machine. If Automower meets an obstacle it will stop and redirect itself without causing any damage. WEATHER PROOF: Automower can be outside around the clock and is designed to function properly and unattended regardless of the weather conditions. Automower is built to withstand the harsh Nordic climate without any problems.